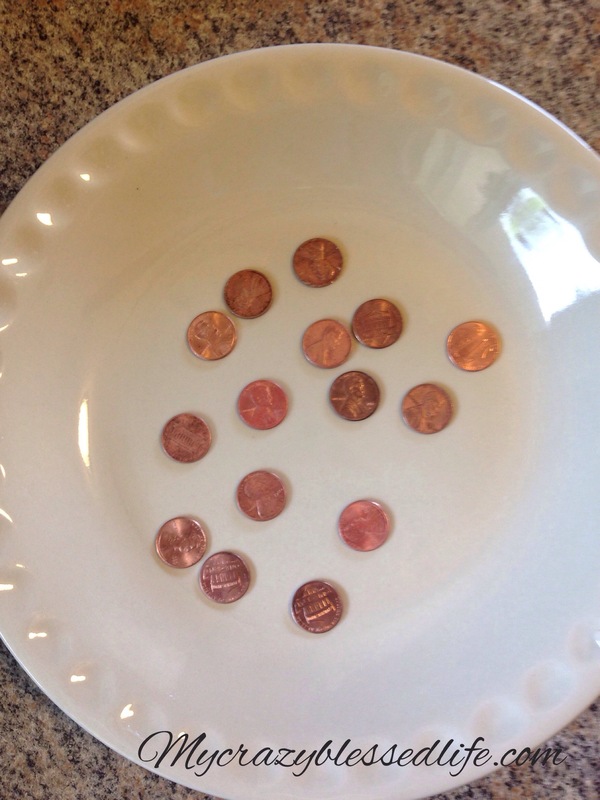 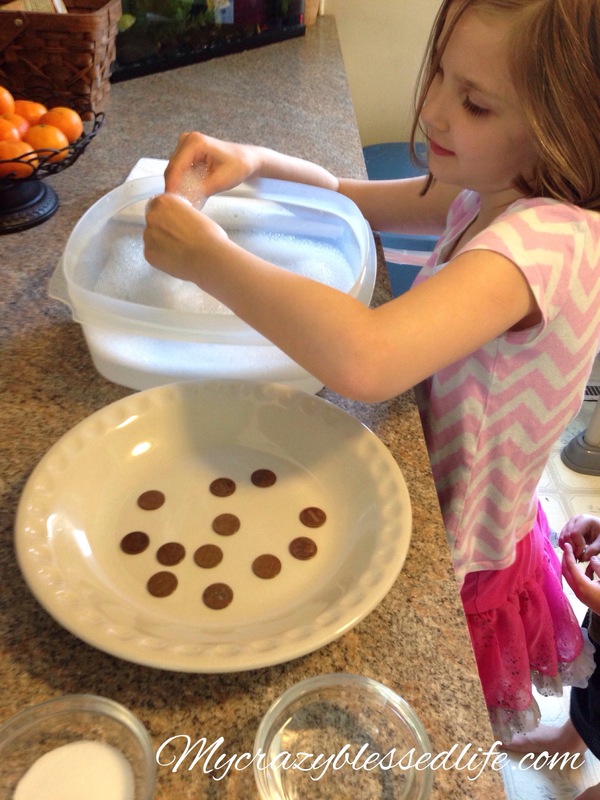 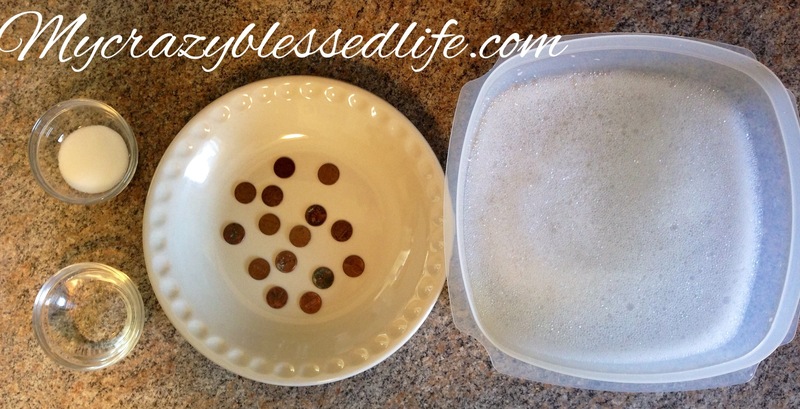 Easy Science Experiment: Cleaning Pennies | My Crazy Blessed Life! 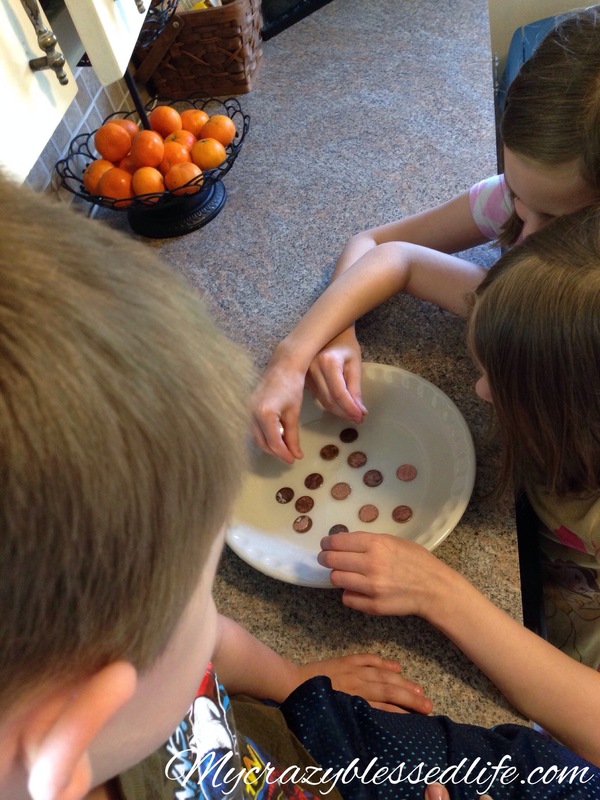 Then we discussed that it wasn’t really dirt causing the pennies to look dirty. 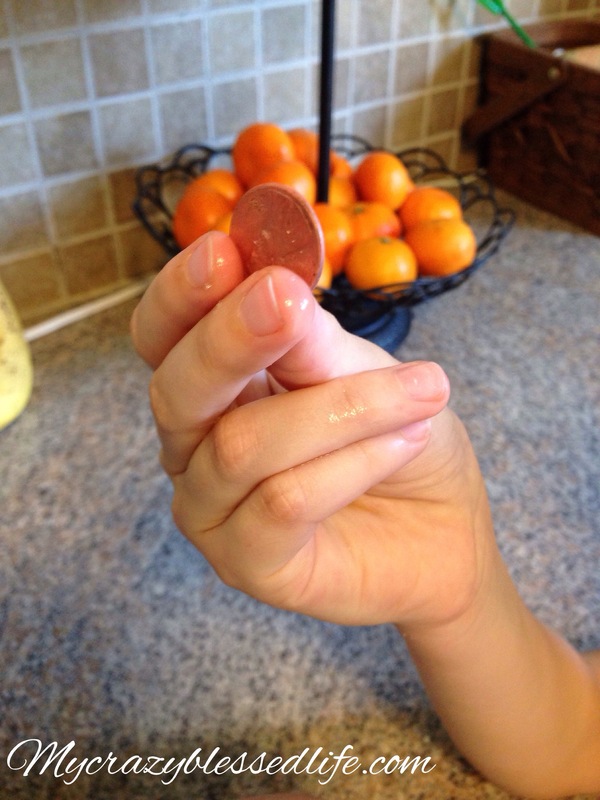 It is a chemical change that has happened when the copper in them has reacted to the oxygen in the air which forms copper oxide. 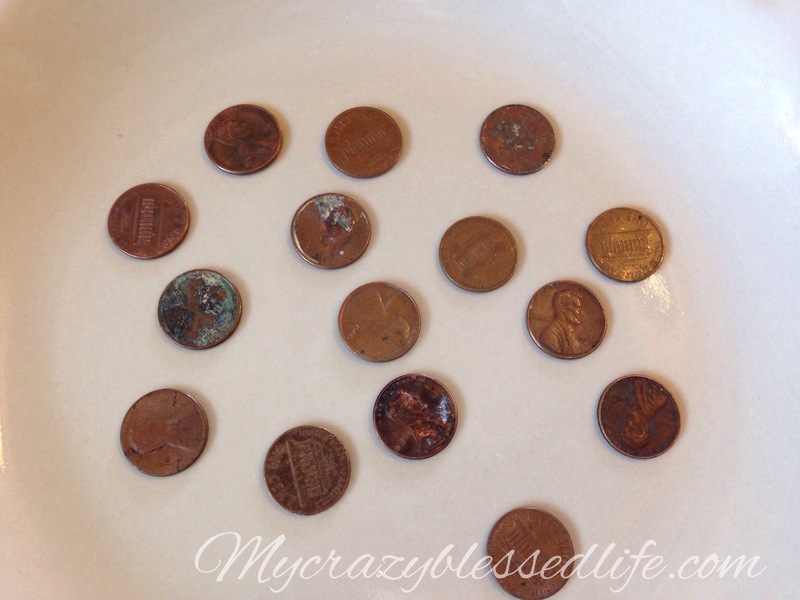 The only way to remove the copper oxide from the pennies is with a chemical reaction. 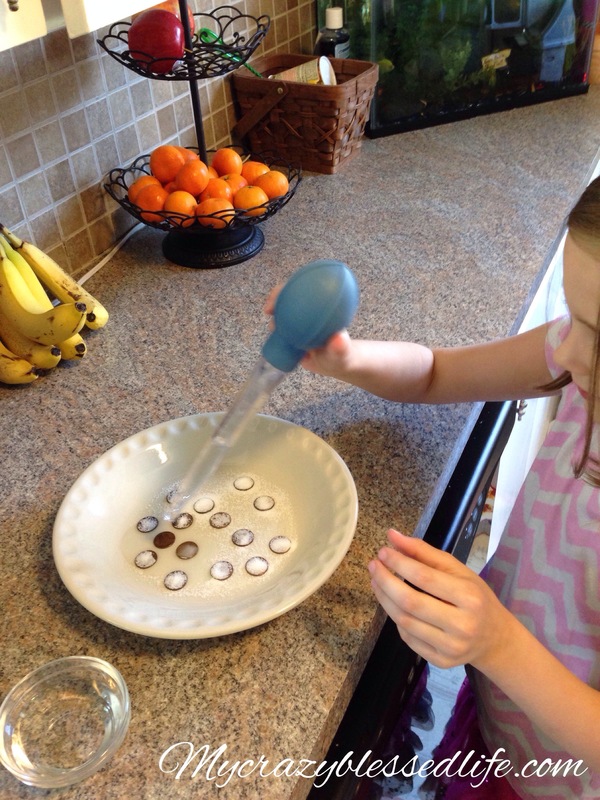 The vinegar will react with the copper oxide to dissolve it! 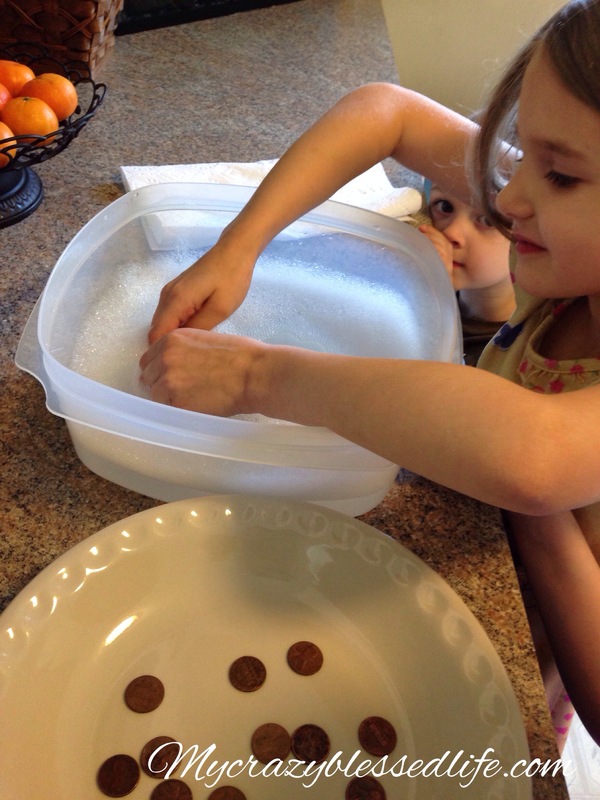 The kids were now pretty excited to get started. 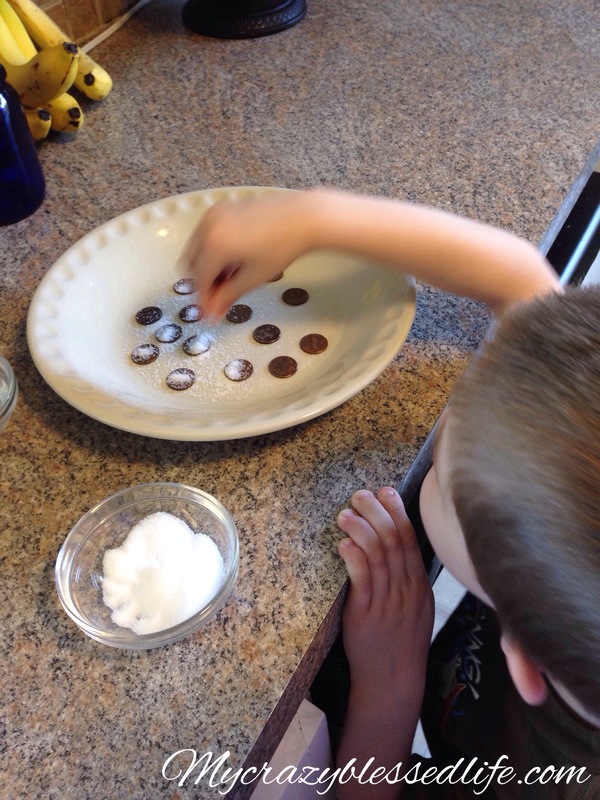 We used some salt to add grit for “scrubbing” the copper oxide with the vinegar. 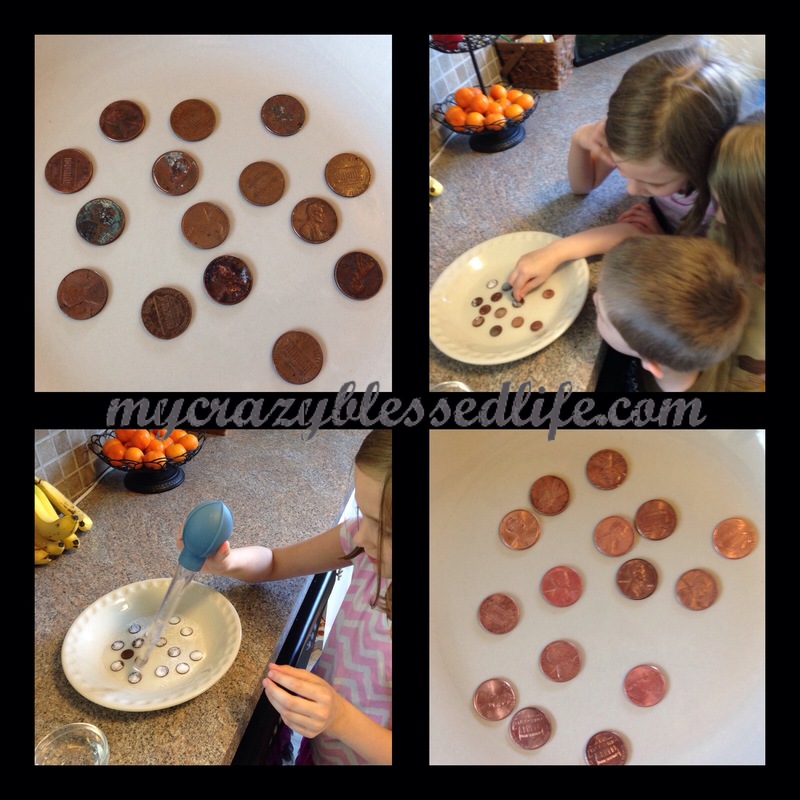 After sprinkling on the salt we dropped the pennies with vinegar. 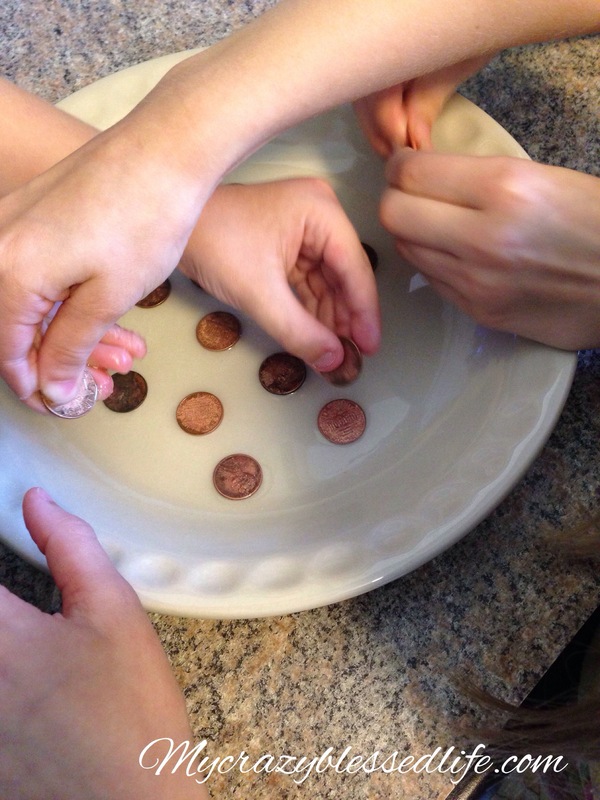 Next lots of cute little fingers scrubbing the pennies in vinegar.